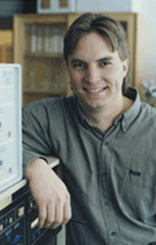 Dr. Siefert joined the chemistry faculty at the US Naval Academy in 2005. Dr. Siefert was an assistant professor of environmental chemistry at the University of Maryland Center for Environmental Research (UMCES) - Chesapeake Biological Laboratory (CBL) before joining the US Naval Academy faculty. He was also a research associate at the Cooperative Institute for Research in Environmental Science (CIRES) at the University of Colorado. He has a Ph.D. in environmental engineering science (with a minor in geology) from the California Institute of Technology (Caltech), and a bach. of chemical engineering (with a minor in economics) from the University of Minnesota. Dr. Siefert has been the faculty representative for Navy Women's Lacrosse since 2006 and a plebe advisor since 2012.